Digital transformation is accelerating the ever-present quest that sustainably successful organizations must pursue: Quality of processes achieved through active Involvement of people that maximize the Flow of products, services, information and money. Quality, Involvement, Flow. Attempting any form of digital transformation without first addressing how organizations need to change to accommodate for the acceleration required can only impede its success. Transformation for acceleration is not something for the faint hearted, nor is it something that should be attempted without real knowledge, certainly not through ‘techniques’. 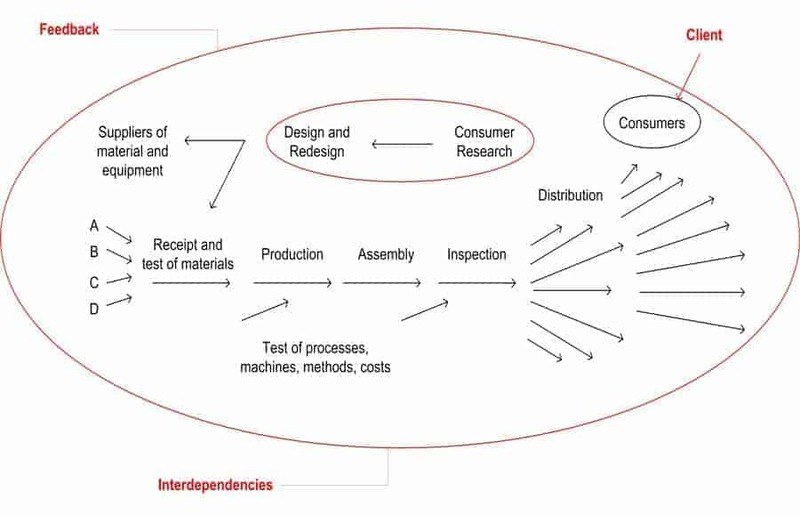 The knowledge we need is connected with how to achieve Quality, Involvement and Flow and with finding the design of an organization fit for Complexity. Some visuals can help. W. Edwards Deming, long before anybody else, understood that organizations are systems, networks of components that work together towards a common goal. To achieve this in practice, the components must operate in a state of statistical predictability, otherwise chaos will ensue. Statistical Predictability is the result of processes, methods and technologies operated by people sharing a precise framework of knowledge and who are intrinsically motivated, hence cognitively involved, in achieving a goal that betters their lives and the world around them. Such a system was first designed for the benefit of Japanese industrialists in 1952 and it was fueled over the decades by a continuously growing body of knowledge, eventually formalized in two pillars of management theory published by MIT, Deming’s ‘Out of the Crisis and The New Economics’. Fig. 1: The organization as a system, based on Deming’s original 1952 ‘Production Viewed as a System’. The arrows represent the systems’ components (processes and projects the company is made up of) and in the circles I have highlighted its main features: focus on the client, feedback loops, emphasis on interdependencies. Deming’s ‘Production viewed as a system’ was the starting point for the Quality movement and ushers in precisely those elements of integration, collaboration and transparency that are the hallmark of digital technologies. Eliyahu Goldratt, a physicist like Deming, looked at how to emphasize and capitalize on the systemic nature of the work of organizations from a different angle. Any organizational system, he argued, can be designed to have only one (or very, very few) elements that determine the pace at which it pursues its goal. When this element is strategically chosen, i.e. capable of offering the highest value, it becomes the leverage point that maximizes what the whole system can produce. He called it the “constraint”. By maximizing the performance of the constraint and synchronizing the organization around it, we maximize the overall performance of the system and there is a precise protocol for this that Goldratt called the Five Focusing Steps. While their teachings are generally used separately, we began working from the intuition that combining the whole system practices advocated by Deming and Goldratt would produce a powerful approach. Over twenty years of international implementations have shown the effectiveness of combining their approaches into ten macro steps that we called ‘The Decalogue’ (first published in 1999 by Goldratt’s publisher North River Press as ‘Deming and Goldratt: The Decalogue’, Lepore & Cohen). The ten steps of the Decalogue combine the systemic thinking underpinning the work of Deming and Goldratt into an operational method and tools for transforming an organization into a whole system. They provide the solid foundations for an organization built for speed, integration, collaboration and transparency and these are the prerequisites for embracing and capitalizing on the advantages that digital transformation can bring. Step 3: Make the system stable (understand variation and its impact on the network). Step 4: Build the system around the constraint (and subordinate the organization to the constraint). Step 5: Manage the constraint. (Protect and control the system through buffer management). Step 6: Reduce variation of the constraint and the main processes. Step 7: Create a suitable management/organizational structure. Step 8: Eliminate the external constraint (sell all the capacity the system has available). Step 9: Where possible, bring the constraint inside the organization and fix it there. Step 10: Set up a continuous learning program. At the time of publication of the book ‘Deming and Goldratt: The Decalogue’ (1999), step seven ‘Create a suitable management/organizational structure’ was not specific. 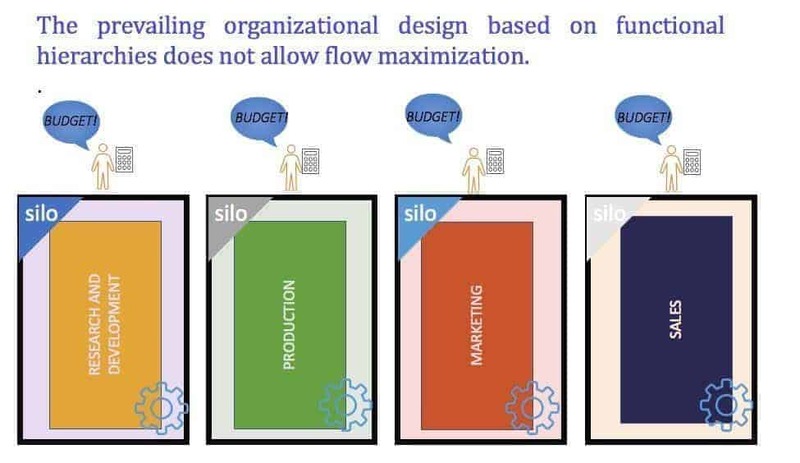 However, it was clear that, without a suitable structure, the realistic possibility to sell all the capacity of the constraint would be hindered by local optima considerations (silos). In other words, the design of a suitable structure was a prerequisite for enabling the true expansion of the system. Today, it is much clearer that the natural way to see the work of an organization is in terms of process and projects. In the years that followed, further research and application led to the development of the Network of Projects organizational design as a means to improve and optimize the performance of the whole system. With this article, Domenico Lepore continues his mini-series of articles that focuses on how to build companies that are fit for the digital age. The next one will be about the Network of Projects organizational design.